While exploring the garden, the little pets found a whole new world. 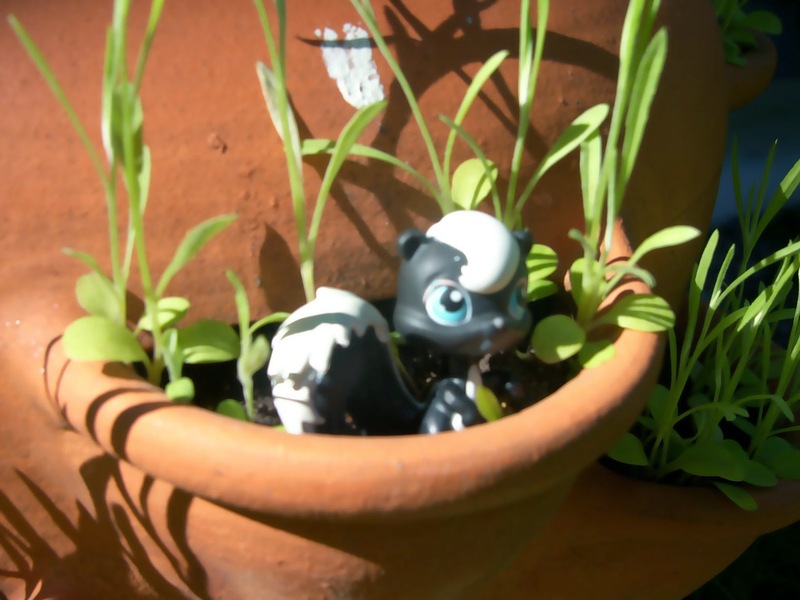 The skunk decided to make home in a flower pot with several nice balconies. 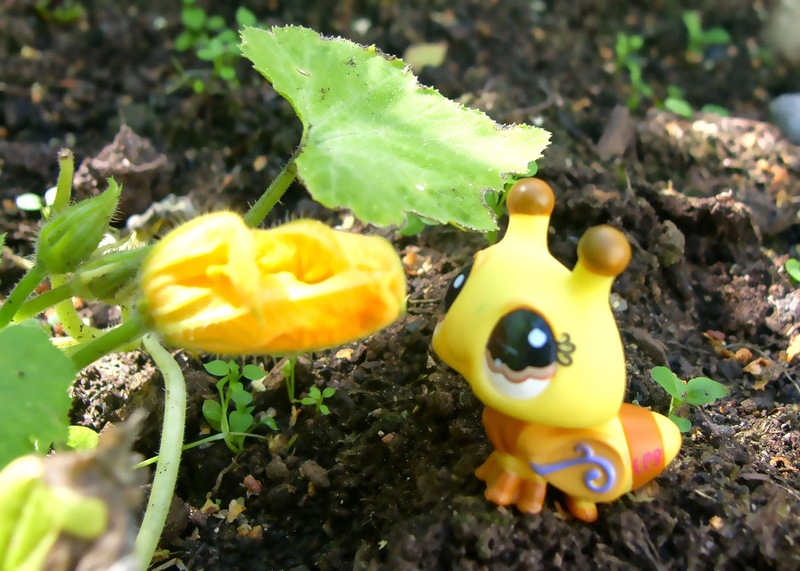 The bumble bee was flying around when it noticed the squash flowers and went to sniff them. 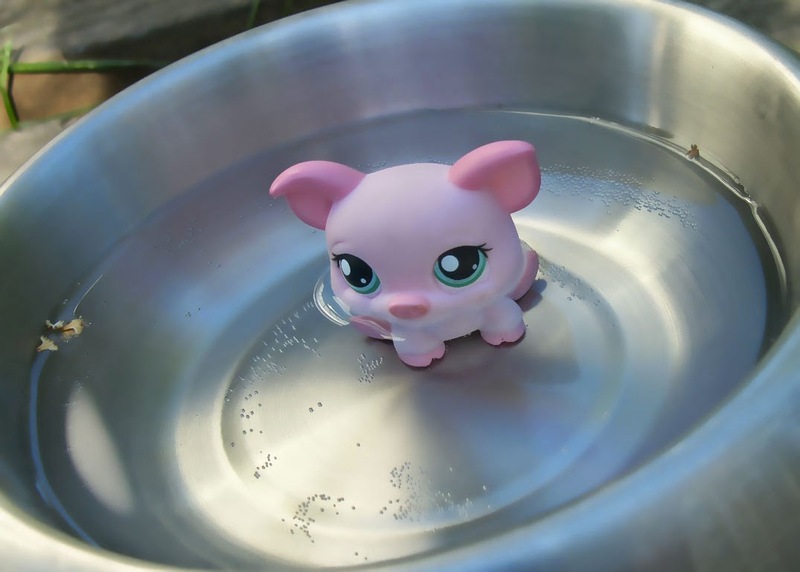 The piggy was feeling hot in the sun and took a dip in the dog's water bowl. 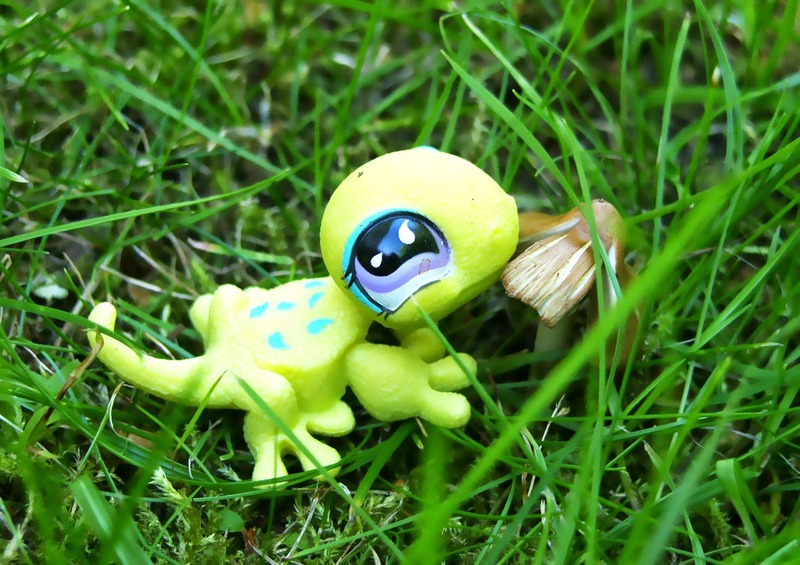 The lizard munched on a mushroom he found on the lawn. 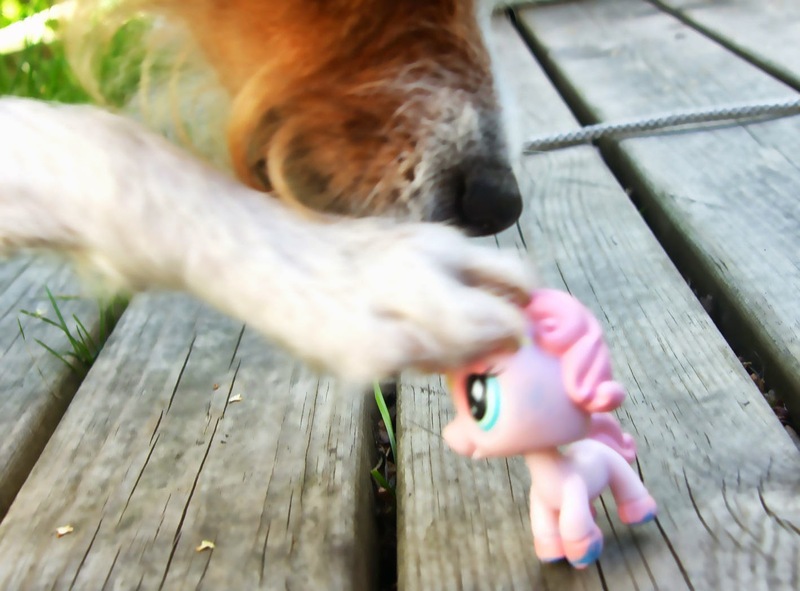 The little pony found out that the garden can be a dangerous place too and you can get eaten by the dog if you're not careful!